PPU is a website that lists and sells exclusive polishes each month. It is set up as a pre-order with a short ordering window. To learn more about PPU check out their facebook group. 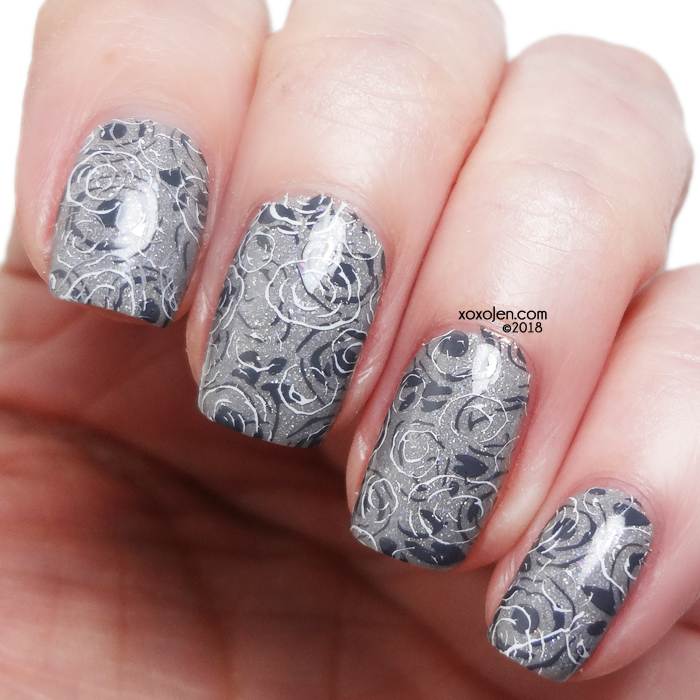 March's PPU theme is books and Leesha's polish was inspired by the book, "50 Shades of Grey"
Grey crelly base packed with all of the colors of the rainbow by way of holo and rainbow flakies. I wore two smooth coats with topcoat. The formula was fluid and easy to apply, finish is shiny and smooth and removal was easy peasy. Such a great shade of grey - not too dark, not too light. Perfect for nail art too! Grey, Greyer, Greyest sales are unlimited during the pre-order window and then will be gone, as it is exclusive to PPU. Get it while you can!